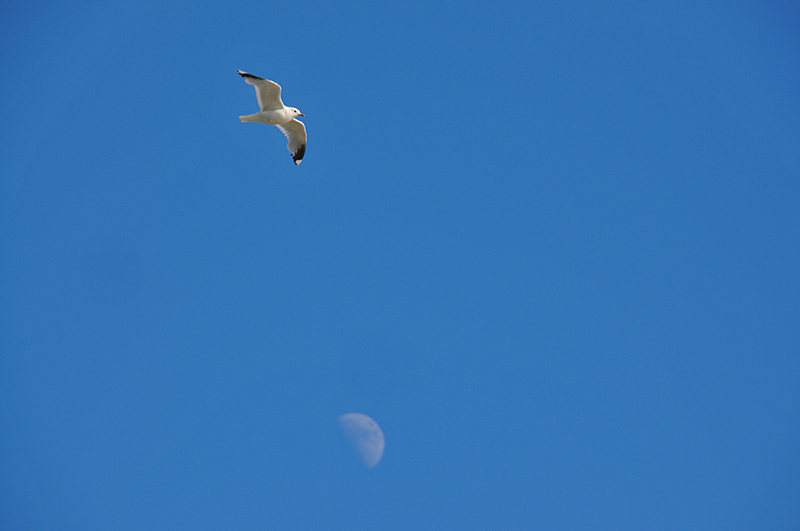 A Gull in flight over Islay, the half Moon visible in the sky below. This entry was posted in Repost, Sunny Weather, Wildlife and tagged Gull, Islay, Moon by Armin Grewe. Bookmark the permalink.